When the rain turned to hail and got blustery, I retreated to Tully's Coffee at 9th and Broadway and found myself a spot in the corner offering this view of the Rialto Theater. 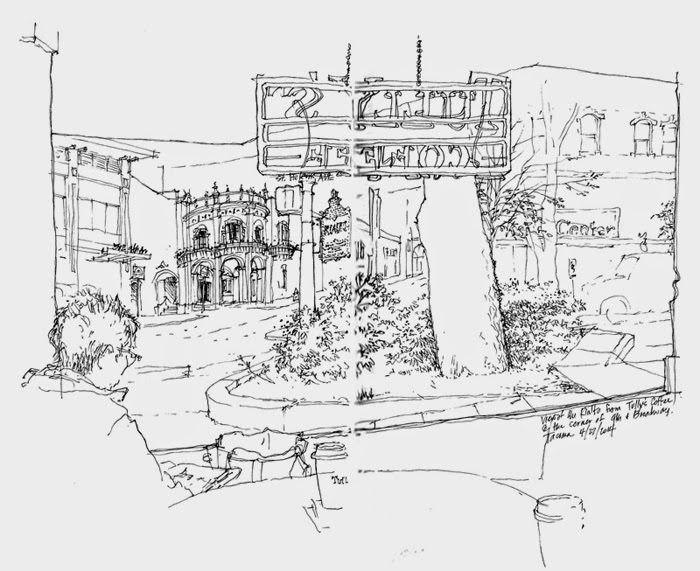 I began by drawing the frame of the window, Tina drawing on my left, the Tully's sign above, and a couple of coffee cups in the foreground. Then I moved to what I saw through the window, starting with the tree trunk and planting area and then moving back to the Rialto.